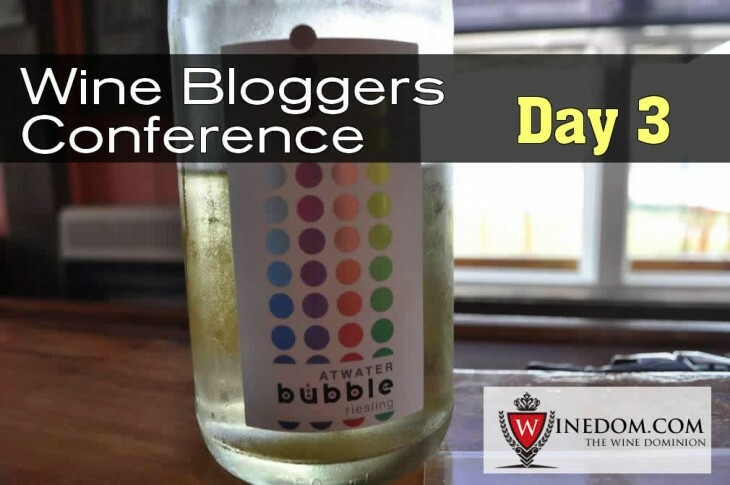 Much of the final day of the Wine Bloggers Conference was spent talking about blogging and writing, not about wine. It was a gorgeous day and with a fairly early end time there was time to visit some more vineyards. During the speed tasting during Day 1 my interest was piqued by two vineyards that were experimenting with or producing orange wines for sale so I decided to take the drive out to those two and talk about orange wine. 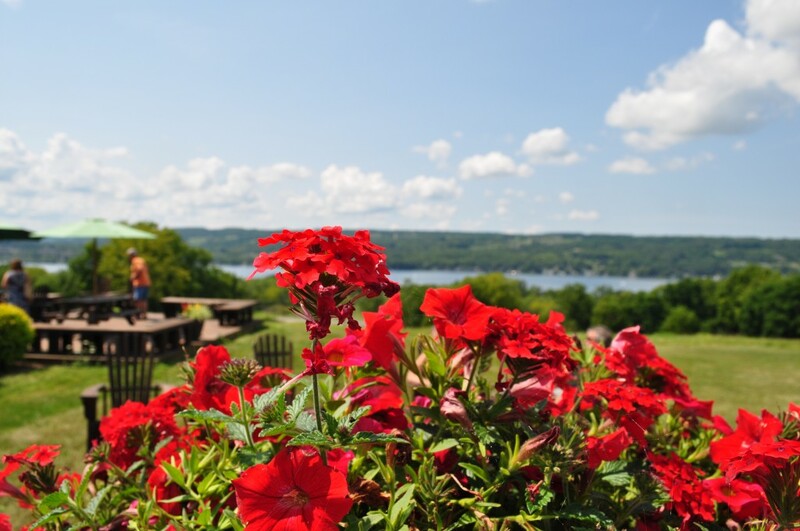 Our first stop was Keuka Spring, located on a hillside overlooking Keuka Lake. We were greeted by incredibly friendly staff and spent a considerable amount of time with owners Judy and Len Wiltberger. From the rose through an extensive tasting of whites and reds it was hard to decide what bottles to buy because each is crafted with such care and precision that they’re all good. The 2014 Dry Rose 2014 received 88 points from Wine Enthusiast and a number of accolades including taking a gold at The Riverside International Wine Competition. Stone fruits give way to rasperry and a zip of acidity but it doesn’t end there. The complexity in flavor is paired with a round mouthfeel that doesn’t distract from the aromas and flavors. I’ll be serving this with pizza made on the grill but it could be paired with anything from fish to spicy ethnic foods. The wine is a field blend of Lemberger and Cabernet Franc. 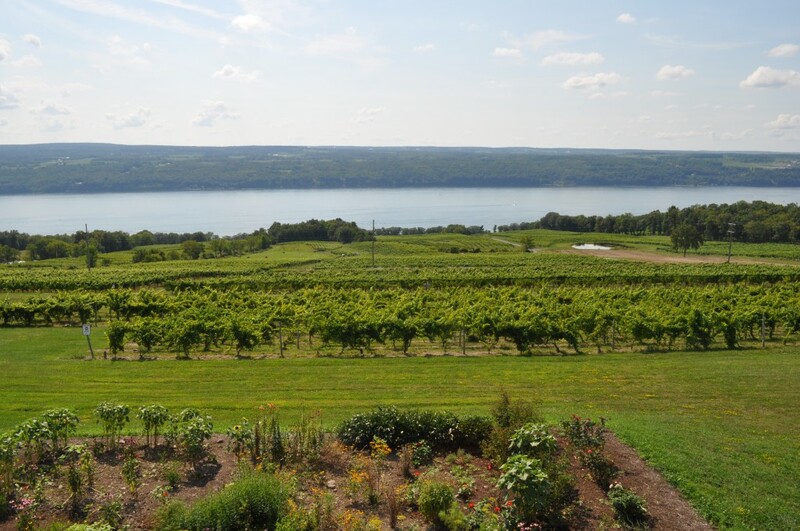 Humphrey’s Riesling was yet another example of the Finger Lakes truly understanding its unique climates, microclimates, and terroir. 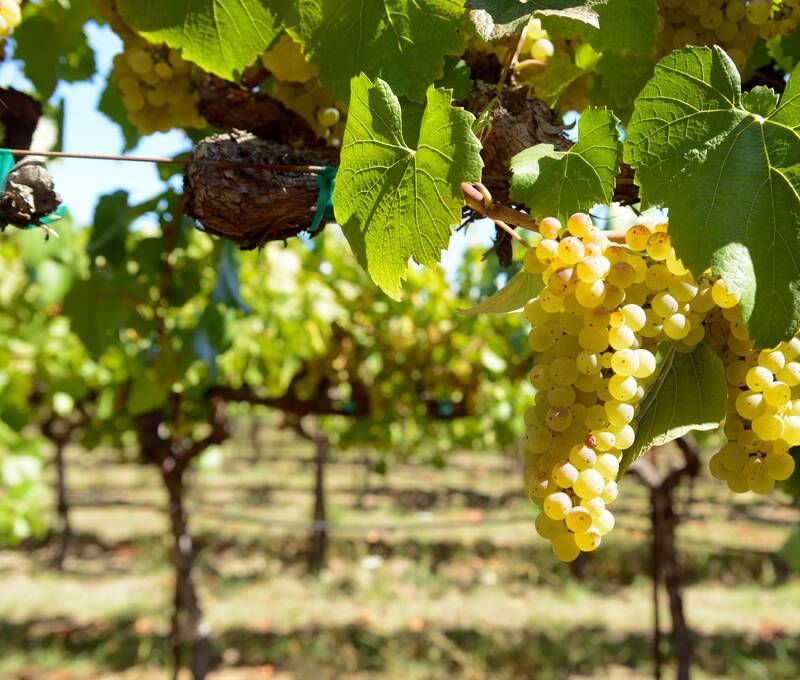 Riesling is king in The Finger Lakes and generally made dry. This particular dry riesling was a favorite and that shows based on its long list of awards. Lots of apple is perfectly complimented with the crisp mouthfeel – this wine screams autumn to me but would also go perfectly with cold salads, crudites and seafood. I had tasted the 2014 Dynamite Gewurztraminer during Day 1’s speed tasting and had to taste it again. The nose is floral giving way to fresh fruit, including melon, and a super soft texture. Another award winner, this one would pair well with Thai, coconut curry, shellfish and, I think, Thanksgiving Dinner… something about the flavors make me want to have it with sage seasoned meat or stuffing. Moving into the reds I have to say I thought, “Okay, this is where I’ll find one that’s not as good.” Only because, well, it’s rare to like EVERY WINE in tasting. Until, I guess, you find talented winemakers who really get the area and the grapes and process. And Keuka Spring has that under control. Starting with the 2014 Cabernet Franc my shopping list grew. It’s rich, soft and an absolute delight from the flavors to the luxurious mouthfeel. 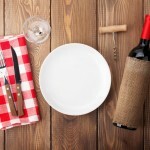 A seasoned steak or spaghetti and meatballs (or a not too cheese-heavy lasagna) are what I’d pair. I will definitely pair this with something I make that has nutmeg in it because I think the flavors will work. The next red to sip was the 2014 Epic Reserve which should be everyone’s go to wine for a hearty Italian meal. It’s a full bodied red with a great balance of Merlot, Cabernet Franc, and Cabernet Sauvignon that will help get you through the coldest of winters. The last wine we tasted here was the 2014 Miller’s Cover Red which is a wine to ruminate on. 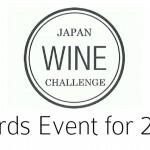 While I loved them all, this one was the one I thought about most while tasting – the website perfectly describes what was going through my head. 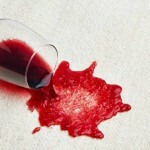 It’s dry, it’s soft, it’s full-bodied. Complex but not distracting, drink it with rich meats. It was tough to decide, luckily the Finger Lakes are only a few hours away but I brought home the Dry Rose, Epic Reserve and Cabernet Franc. The winery, like many in the region, hosts events, live music and local food. 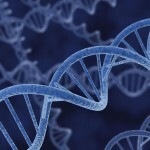 We enjoyed live music on the beautiful patio with a glass of wine each before moving on. During speed tasting Atwater stopped by my table with their orange Chardonnay so of course I had to swing by before leaving the Finger Lakes. In addition to tasting this wine (which is not on the tasting list – thanks for indulging me!) we tasted a variety of their wines, all of which were phenomenal and included some great sparkling wines, including a sparking pinot noir. We started with bubbles here, because while I don’t just love sparkling wines, I was very interested in trying Atwater’s take on unusual iterations and their staff was excited to share them – which is always a good sign. First up? 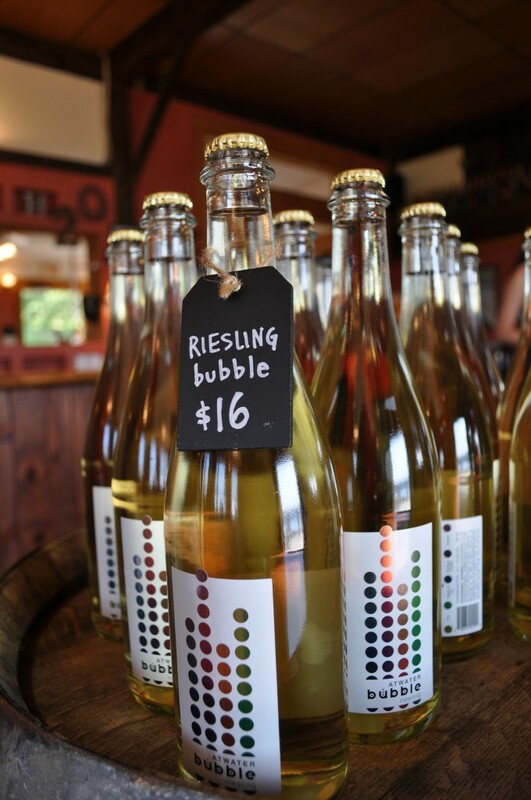 Bubble Riesling is a must try and will immediately turn into a must by. Apples and peaches with a zip of citrus keep things interesting beyond the bubbles but never overdo it. The label and bottle cap give the wine a fun aesthetic to match the flavor but this isn’t just a novelty wine. It would pair beautifully with crudites, cheese, shellfish, or a snack of chilled fresh fruit. Consider trying Atwater’s Pinot Noir Bubble with the same things you’d have with the Riesling Bubble or just enjoy it on its own. Light and refreshing it starts out soft and then takes a brilliant turn ending with a beautiful tart finish. Consider experimenting with this as a base for a sparkling sangria with raspberries or stone fruit chunks. I cannot say enough about the 2014 Orange Chardonnay other than that it was what brought me to the vineyard and made me leave with it (and numerous other bottles). 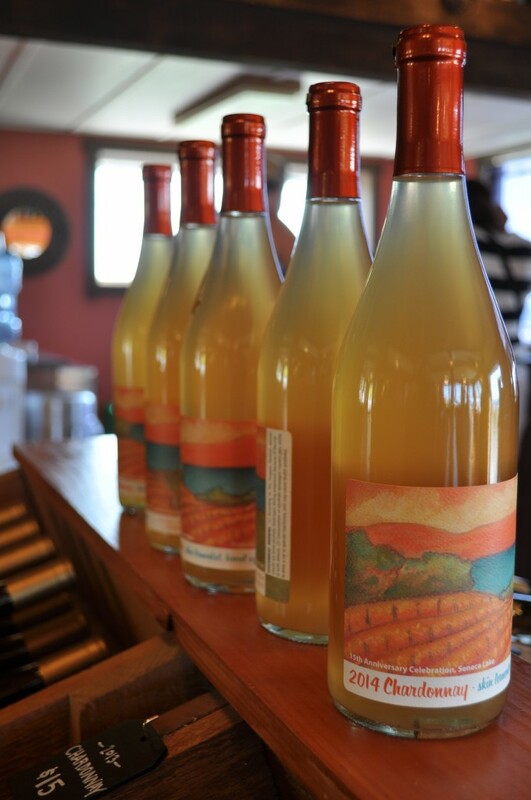 Orange wines give you the best of both worlds: the tannins of red, the acidity of white. Add to that beautiful fruits, complex mouthfeel and lingering finish and you have, in my opinion at least, the perfect wine. Atwater suggests pairing this with anything bacon or fatty, because of the way it cuts through the fat but keeps things balanced. Also good with heavier autumnal or winter dishes. Because we were in the Finger Lakes we had to go with another dry Riesling – a new favorite. Atwater’s take provides minerality that complements the wine beautifully and would be perfect for late season grilling or winter meals of pork, seafood or chicken. The wine is lush but not overpowering and perfect to pair with dinner. 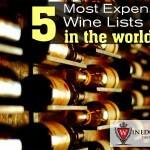 The final wine on the list was their Stone Bridge Red – a red blend with a colorful label. The blend of berries and cedar create a red that would work for most, especially if served along with grilled burgers or portabellas. Pair with something earthy to have the best tasting experience. At this point I was worried I was going to have to sit with a box of wine on my lap while driving. Something that might not go over well with law enforcement. Luckily, there was room. I took home the Riesling Bubble, Blaufrankisch, and orange Chardonnay. I would have taken anything else but limited myself due to space in the empty wine box I was quickly filling. For years so many of us have said, “Eh, it’s good for New York Wine.” It’s time to dish that cliche and recognize that the wines of the Finger Lakes have arrived and are great wines. Period. The cool climate, microclimates, and soil are a part of it but what really makes this region great is the care and precision, and creativity, that the region’s winemakers have embraced as their own. Concentration is on grapes that work in the area, maximizing usage, collaboration and taking that occasional risk to bring something to the table that truly wines. 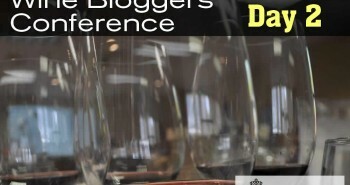 Lookout world, because there are 300+ bloggers who will be bringing bottles out and making sure that the Finger Lakes gets their fair share of the wine world’s spotlight. 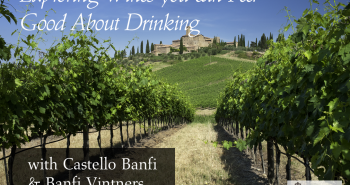 Note On Safety: Vineyard tastings, wine tasting rooms, tours… these are fun things to do but it’s nearly impossible to gauge how much you’re drinking. And alcohol is alcohol. As painful as it can be, and embarrassing to newbies, you have to spit. And spit I did. Be safe and responsible and either have a designated driver or taste without swallowing.